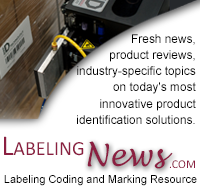 LSI is pleased to announce the release of its latest addition to its already robust line of labeling solutions - The Standard Series! Designed to operate at line speeds of up to 100 products per minute, this component based labeling system is completely pre-engineered for most applications. These applications include Side Apply, Top Apply, Bottle Wrap, and Front & Back labeling on cases and containers. The Standard Series has a very compact yet flexible Control System utilizing energy efficient components. Both "Print and Apply" and "Apply-Only" labeling heads are available. With the Standard Series - LSI Quality comes Standard!